Do you hide behind a keyboard? Several months ago I found myself the victim of attacks from “friends” on social media because of a difference of opinion. It immediately made me re-evaluate the relationships and my role in social media. Was I going to fall victim to their bullying and name calling or was I going to just walk away and leave well enough alone? I chose to walk away and close my Facebook and Twitter accounts. It made me really reconsider the value of these relationships…you see months later when I was in the presence of the same folks that attacked me via “their keyboards”, they hugged me and kissed me and told me they loved me, but never addressed the horrific comments posted towards me by their own doing? I stood there shocked, to say the least. 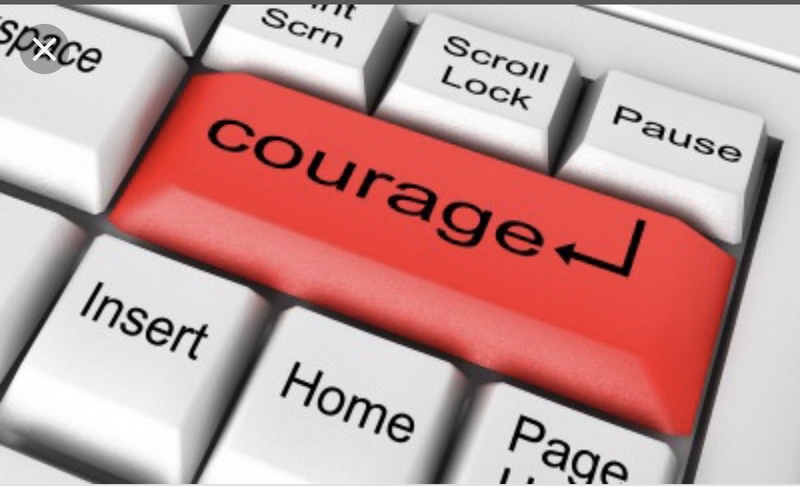 I couldn’t believe that “grown folk” were hiding behind “keyboard courage”. I was slightly taken aback and thought, who are you really? The bully on social media or the person standing in front of me trying to share pleasantries. For those who know me, know I can’t be fake, it’s just not in my nature, so I just walked away. In a conversation with my son, he immediately stated, “it’s not courage mom, it’s actually cowardice”. It’s “keyboard cowardice”. They hide behind the keyboard because they are too afraid to personally confront. That is called cowardice. Folks hide behind the keyboard to spew hatred, bigotry, and insults and then turn around and act as if their behavior does not have consequences. These are adults! In this day and age, if we can’t sit down and respectfully share our differences then why should we have a conversation at all. I heard someone once say, Social media friendships/relationships are some of the most artificial relationships folks have. I’ve come to understand and learn this lesson the hard way. So, yes, I have curved my exposure to social media and only share what I think will inform, educate and entertain my followers. I choose to live my life in truth and honesty, in love and in forgiveness and acceptance. No one-two people are alike and that is what makes us amazing. Let’s respect each other, even if it’s behind a screen and through the keyboard!